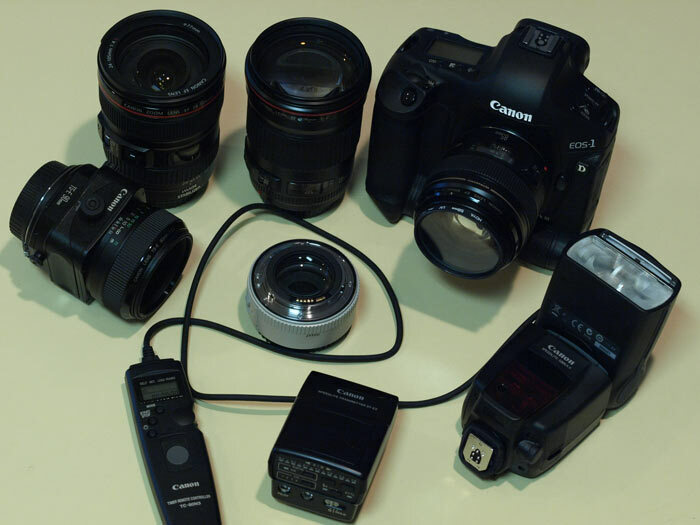 a bit embarrassing making this list, looks more like a camera store than an amateur photographer's hobby, but its the result of many years of collecting equipment, each has its own uses, strengths and weaknesses. tilt-shift lens usage for creative selective focus effects, etc. Canon EF 50mm f/1.8 II (52mm filter) - some purple fringing at f/2.2 and wider. thought about the 70-200mm f/2.8L IS but way too heavy and too soft wide open at 200mm, and not good for astro work. the sharpest 2x TC with least aberrations ever made. perfect for sports events if you are not a pro and can't get away with carrying a 3.5kg super telephoto lens in. 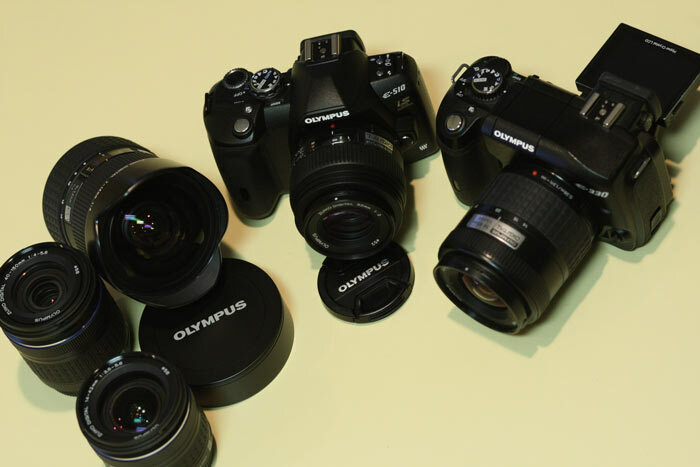 great for portraits, going to the zoo, bushwalking, etc. can even be used as a 0.47x macro with a working distance of 1.2m for subjects that are a bit skittish, and even fits the Olympus ring flash system. with 2x TC, becomes 800mm reach at f/7 and high image quality - what a combo! 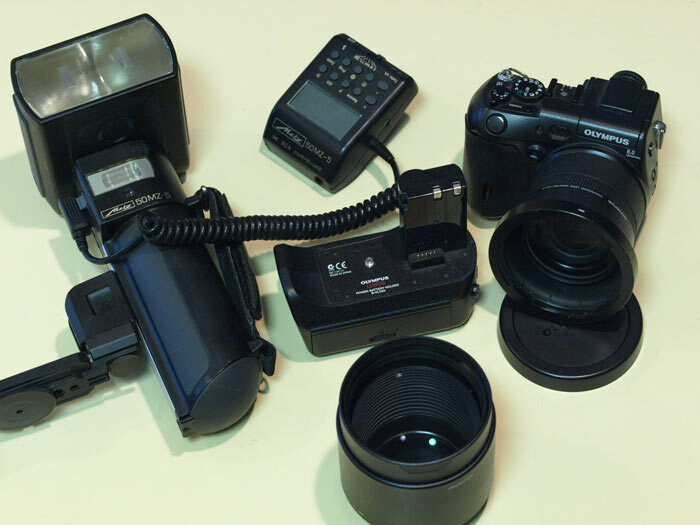 for compact, quiet, dSLR quality shooting with almost any lens ever made and with HD video with AF capability. silent shutter so useful where silent operation needed as at classical music concerts. initially bought as travel camera for my wife but noise above ISO 200 is a big issue. I rarely use this now. 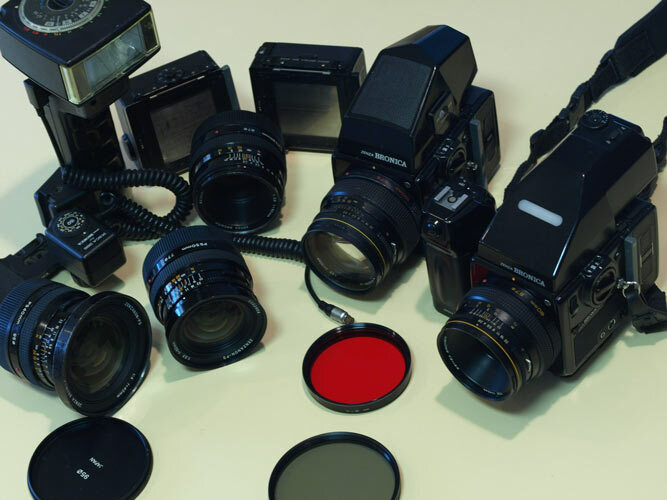 these were mainly used for infrared film photography until Kodak ceased HIE film production. Zuiko 50mm f/1.4 x2 - some residual purple fringing at f/2; XS fringing and coma at f/1.4; mild coma at f/2.8. Zuiko 200mm f/4.0 - this a a great lens on the E510 for use at the zoo as it gets between the wires of fences nicely and gives 400mm telephoto reach image stabilised. Zuiko 300mm f/4.5 - beautiful at f/5.6, can hand hold at 1/60th-1/125th sec on E510 with IS, not bad for a 600mm eq. focal length! 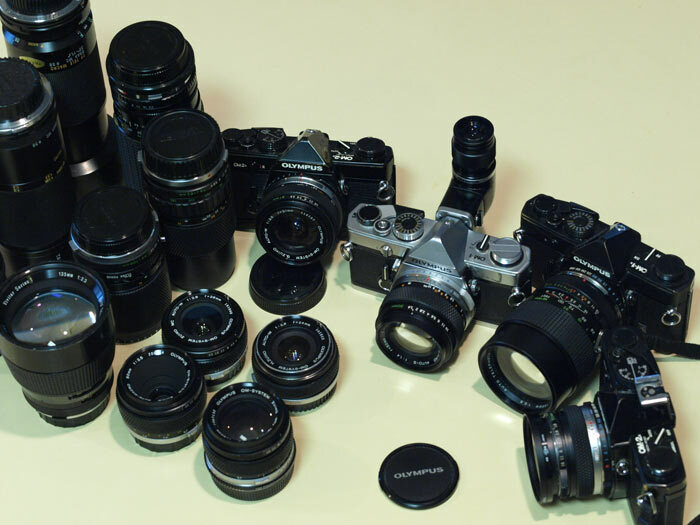 I am looking for a 55mm or 65mm lens, if anyone has one in good order and wants to sell. cheap day super lightweight hiking bag with bubble wrap for general low key urban use - not great camera protection but light and does not make you a target for thieves.